Computer vision is one of the most active research fields in information technology, computer science and electrical engineering due to its numerous applications and major research challenges. Face image analysis constitutes an important field in computer vision and can be a key challenge in developing human-centered technologies. Face image analysis problems have been investigated in computer vision and Human Machine Interaction applications (e.g., identity verification, eye typing, emotion recognition, m-commerce). Making computers understand the contents of images taken by cameras is very challenging, and therefore the computer vision technology faces a lot of challenges. Differed from the biometric problems, e.g., finger-print or iris based recognition; face recognition inherently relies on the un-controlled environment and inevitably suffers from degrading factors such as illumination, expression, pose and age variations. Image-based age estimation is relatively a new research topic. Estimating human age automatically via facial image analysis has lots of potential real-world applications, such as human computer interaction and multimedia communication. This book presents the reader with cutting edge research in the domain of face image analysis. Besides, the book includes recent research works from different world research groups, providing a rich diversity of approaches to the face image analysis. The material covered in the eleven chapters of the book presents new advances on computer vision and pattern recognition approaches, as well as new knowledge and perspectives. The chapters, written by experts in their respective field, will make the reader acquainted with a number of topics and some trendy techniques used to tackle many problems related to face images. It is impressive to note that the editor and authors have tried to capture a wide and dynamic topic. I believe readers will not only learn from this book, but it will be of high reference value as well. Over the past two decades, many face image analysis problems have been investigated in computer vision and machine learning. The main idea and the driver of further research in this area are human-machine interaction and security applications. Face images and videos can represent an intuitive and non-intrusive channel for recognizing people, inferring their level of interest, and estimating their gaze in 3D. Although progress over the past decade has been impressive, there are significant obstacles to be overcome. It is not possible yet to design a face analysis system with a potential close to human performance. New computer vision and pattern recognition approaches need to be investigated. Face recognition as an essential problem in pattern recognition and social media computing, attracts many researchers for decades. For instance, face recognition became one of three identification methods used in e-passports and a biometric of choice for many other security applications. 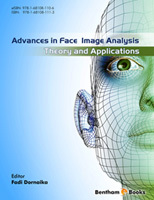 The E-Book "Advances in Face Image Analysis: Theory and Applications" is oriented to a wide audience including: i) researchers and professionals working in the fields of face image analysis; ii) the entire pattern recognition community interested in processing and extracting features from raw face images; and iii) technical experts as well as postgraduate students working on face images and their related concepts. One of the key benefits of this E-Book is that the readers will have access to novel research topics. The book contains eleven chapters that address several topics including automatic face detection, 3D face model fitting, robust face recognition, facial expression recognition, face image data embedding, model-less 3D face pose estimation and image-based age estimation. We would like to express our gratitude to all the contributing authors that have made this book a reality. We would also like to thank Prof. Denis Hamad for writing the foreword and Bentham Science Publishers for their support and efforts. A special thank goes to Dr. Ammar Assoum for providing the latex style file. Departamento de Informática, University of Minho.